Arancini, or fried rice balls (literally “little oranges”) are a Sicilian wonder. 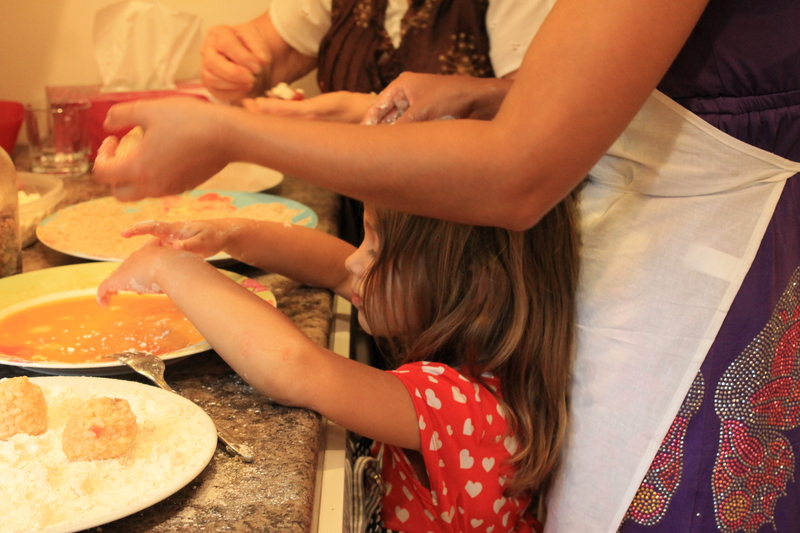 My mother-in-law, Sara, from Licata on the southern coast of Sicily, is a master. You’d think that fried rice balls would be heavy, but not hers. They are like golden oranges, tender and delicious. Inside there are treasures of peas, mozzarella, with prosciutto or ground beef. The rice is tinted with tomato sauce and made slightly sticky with egg, butter and grated Parmesan. You form the rice around the treasures (skillfully, deftly, etc). 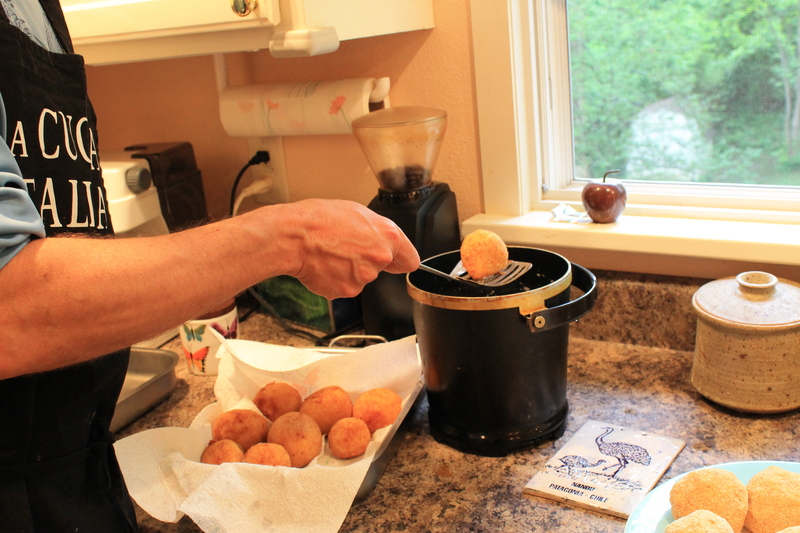 Then each is dipped in flour, then egg, then bread crumbs and deep fried. 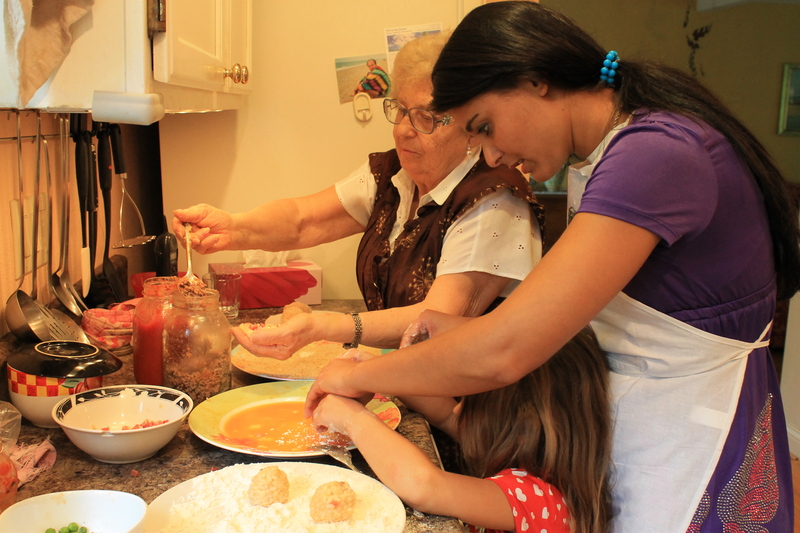 When we go back in the summer, Sara always has arancini ready. When Sicilians who have moved to the “mainland” (Italy) go home to visit, buying the true arancini after stepping off the ferry in Messina or airplane in Palermo is a treasured rite of return. 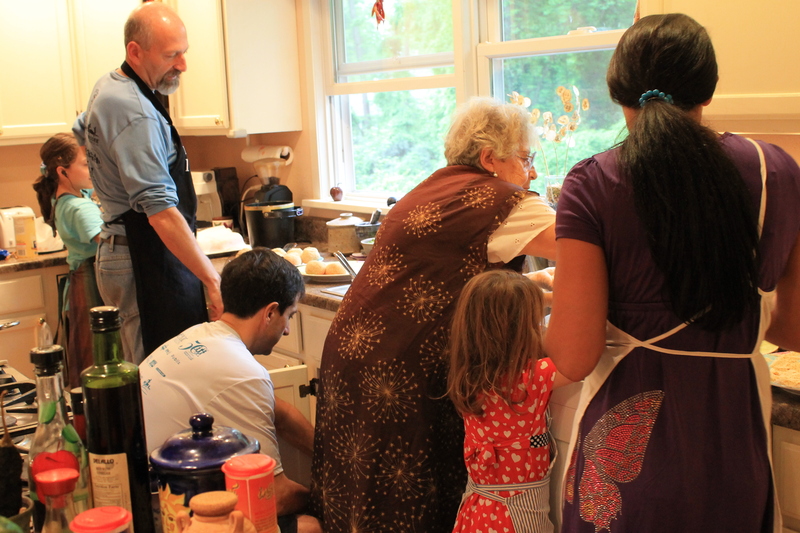 Sara, my brother-in-law Massimo and his daughter Marta are visiting us in Tennessee and making the arancini took everybody’s hands and help. Burrowing in and around the cooks to make this record, I felt as if I’d entered an American stereotype of an Italian kitchen. And there is a lot to be said in its favor. As you can imagine, the arancini were delicious. 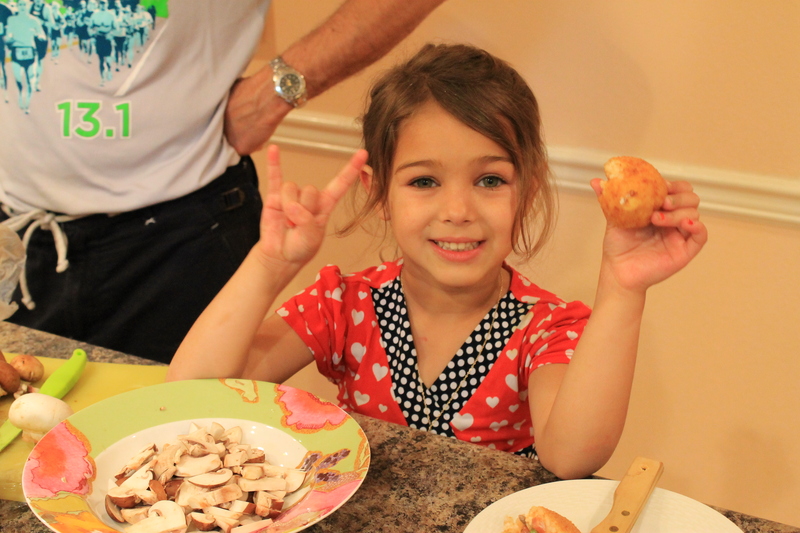 Here you see our daughter Emilia demonstrating the rice-with-filling stage with boyfriend Brett who is not Italian, despite the t-shirt, but was game for “the rice ball party.” Then there is the multi-generational coating process, the frying and the final evaluation by esteemed food critic, Silvia, age 5. In another blog I’ll give the recipe. Sara is making lasagna right now, so it’s not the time.